Photo: From the IBM 608 Calculator Manual of Operation, Form 22-6666-1 (1957). 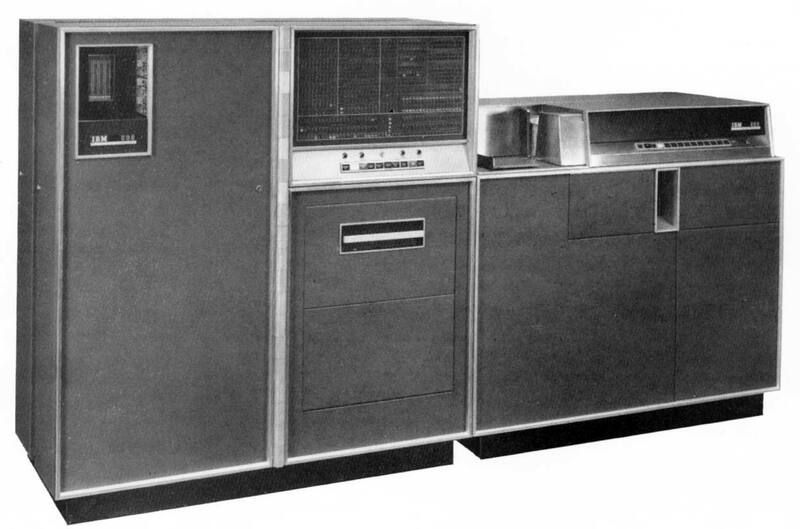 Developed in the mid-1950s as part of IBM's Modular Accounting Calculator (MAC) program, the IBM 608 is a transistorized version of the 604 that "combines the newest advances in electronics to perform the mathematical operations of addition, subtraction, multiplication, and division. It uses transistors, magnetic core memory and printed card circuits to perform these functions upon factors punched in IBM cards ... The 608 operates on transistors – tiny germanium devices no larger than a paper clip – without using a single vacuum tube. Magnetic cores, which make up the memory of the machines, will retain stored information on a normal power shut-down. This is the first known use of transistors and cores together in a commercial computer. These components save valuable office space by reducing computer size 50 percent, and reduce power requirements and heat 90 percent over a comparable vacuum tube model ... The standard machine contains forty 9-digit words of magnetic core storage, a complement of 80 program steps, and an 18-position accumulator." Transistor circuits were packaged in standardized modules -- Standard Modular System (SMS) technology. Pictured: the 608 Calculator itself (left) and its i/o device, the 535 Reader Punch (right). Each unit has its own plugboard. Memoirs of George Trimble (section on IBM 608).